As Trump dismantles DACA and moves ever closer towards building his wall on the Mexican border, we look at the impacts of US policy in the region from the Cold War to today. 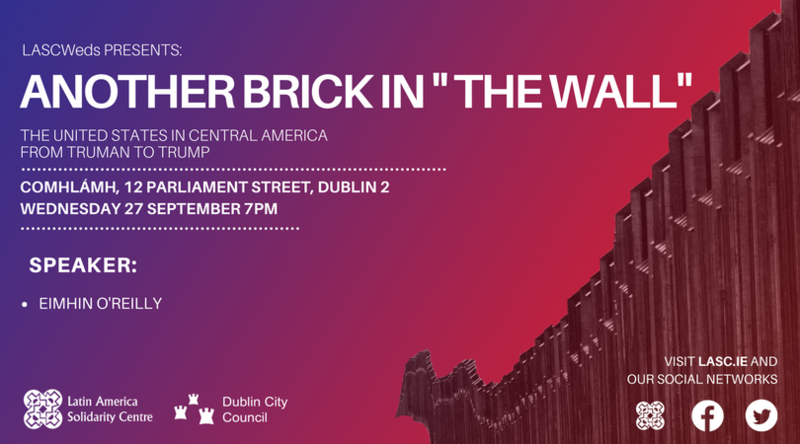 Focussing on economic, drug, and foreign policy, this session will examine the American origins of the crime, insecurity and immigration Trump has often blamed on Latin Americans, while exploring the many ways in which Trump’s virulent rhetoric is nothing new, but rather a continuation of nearly 70 years of misgivings and prejudices. Talk facilitated by Eimhin O’Reilly.